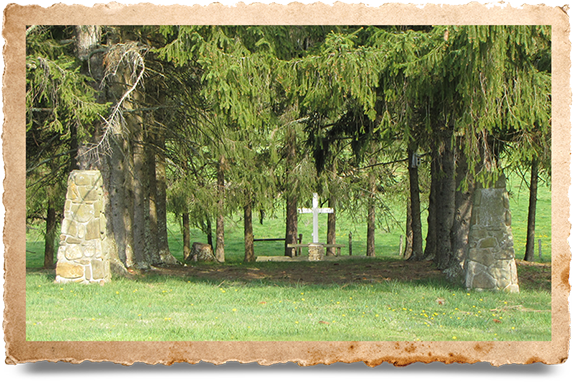 Camp Pioneer is dedicated to our equestrian community in Beverly, throughout Randolph County, WV, as well as our extended family of travelers. We have several state-of-the-art equine facilities on-site at our 97-acre location, including our 22-stall barn and our Dakan horse arena. Each individual stall is clean and well-maintained. We have everything you need to care for your horse while in the area. All of our facilities are available for rent for both public and private purposes, including a wide variety of equine events. Dakan Arena offers exceptional service as the region’s premier equestrian event venue. Camp Pioneer is one of the region’s longest standing horse facilities, approaching a century of service to the equestrian community. 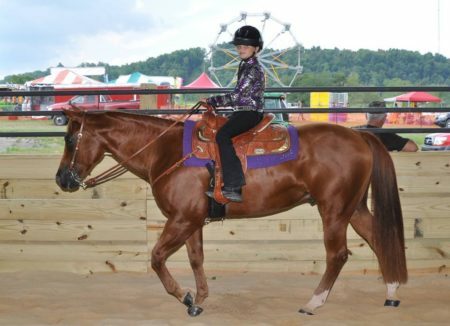 We are proud to have hosted many fine equine events over the years, including several reputable annual events, as well as horse shows, horse camps, riding, cutting events, quarter horse events, barrel racing, training classes, and other specialty equine events. If you are interested in organizing an equestrian event and are looking for a great facility that can accommodate your needs, be sure to contact Camp Pioneer. If you are interested in attending local equine events, be sure to check out our upcoming events. 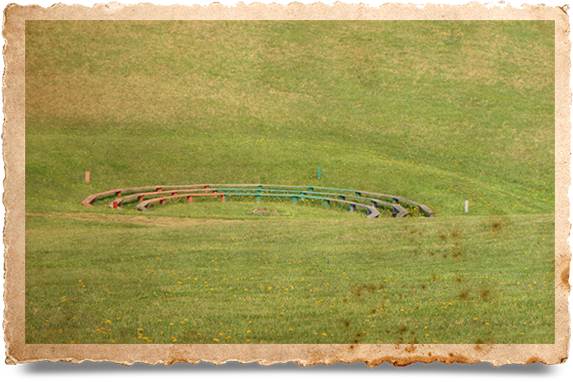 We are dedicated to continually expanding the opportunities available at our equine center. We direct funding to these projects as funding becomes available through donations and community support. Camp Pioneer is the proud host location of the Dakan Arena. 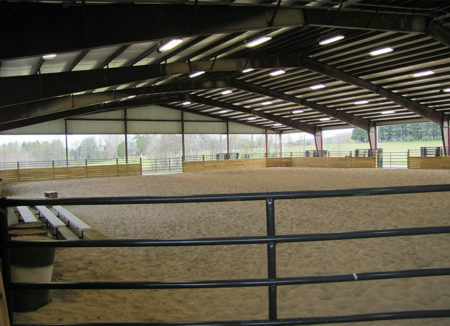 This custom-built equine facility is 125 feet wide by 250 feet long. The specially designed floor is made of sand and we have the ability to adjust the depth of the sand depending on the equine event scheduled. Dakan Arena is truly a unique venue built with horse safety in mind. This facility is absolutely ideal to host all types of equine events including rodeos, barrel racing, cutting horse events, quarter horse events, training events, and more. The Dakan Arena has a sound system, judging area, and bleachers. The parking lot offers plenty of space to accommodate parking for large trucks and trailers. Interested in renting the Dakan Arena for your next event? Be sure to call our office for availability: 304-636-3638. Follow Dakan Arena on Facebook for upcoming events. • Includes use of arena, cattle pens, parking, and adjacent pastures. • A discounted rental fee of $100 will be charged for setup/use after 4pm on the day prior to the main event and clean up before 10am on the day after the event. • Trash cans with liners will be provided around the grounds and will be emptied as needed daily during the event. Renter is responsible for picking up loose trash or additional cleaning fee may be charged. Additional cleaning fees at $20/hour may be applied for large events or failure of the renter to clean up. The Camp Manager or designated staff member will approve acceptable clean-up. • Tractor and arena rake not included. A minimum 40 HP 4WD is needed for arena conditioning. • Arena watering is generally available via the Beverly Volunteer Fire Department for a nominal fee/donation. • Bathrooms are available at the agriculture building. Bathrooms will be serviced at minimum daily and as needed during the event. Events expecting more than 150 attendees will be required to provide portable toilets at the event’s cost. • Event Timers must be provided by renter. Areas to hang the timer have been installed over the gate entry. • Cattle pens are suitable for unloading both large (pot-belly) and small (gooseneck) trailers. Pens suitable for approximately 120 head (6 to 10 cwt) cows. Water tanks provided. • A camp manager or staff member will be on-call or available during the event for emergency maintenance issues. Audio System: $50 per day. Includes 2 wireless microphones (one headset, one handheld) and PA system. PA system includes hook up for auxiliary source such as iPods and external timing devices. Extra batteries included. System must be returned in same condition as rented. PA system will be provided functional at the beginning of the event. No sound technician is available throughout the day. PA system must be returned to the Camp Manager at the end of the event. Renter is responsible if system is left unattended during the rental period. Our main barn was built in the 1970s and has been used for a variety of events over the years. 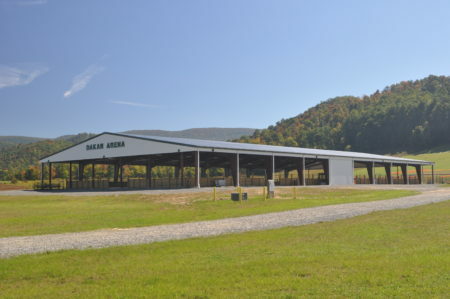 From equine events to livestock shows and sales, our main barn serves many purposes. 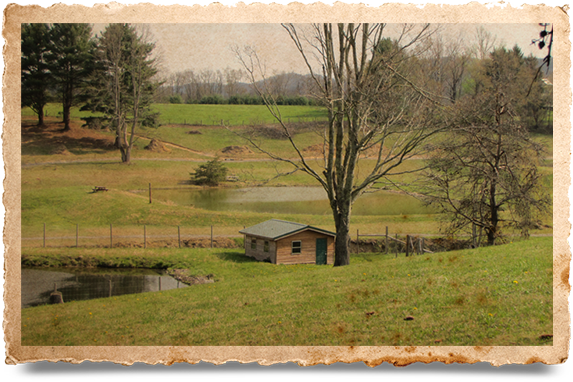 Our barn is the perfect location to set up your local livestock event! We have a sound system, bleachers, and a judging area. 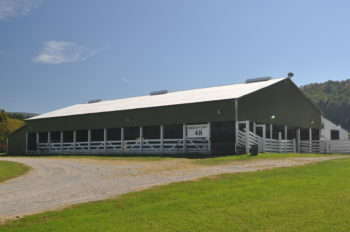 In addition, ample parking for trucks and trailers is available in convenient proximity to the barn. Currently, the main barn has 22 permanent stalls that can be used during events. The barn has also been the venue of choice for many area weddings and is an ideal location for concerts and other live music events. If you are interested in renting the Camp Pioneer Main Barn, please contact our office for more information: 304-636-3638. *Shavings may be purchased on-site for $7/bale. Manure should be deposited in designated area. Stalls must be stripped by the renter and manure deposited in a designated area.